Saturday night dvd's and chinese food. I hadn't seen The Full Monty before and I absolutely loved it! So funny and a great soundtrack. Flowers for the dining room. 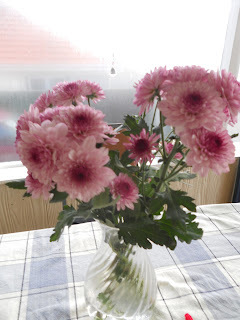 Its amazing how a cheap bunch of flowers brightens up the whole house! Not pictured: On Saturday I made a very quick roadtrip to Hamilton to spend the day with my sister. We did some window shopping and had lunch at a nice cafe. I was having such a good time I forgot to take some photos. Sunday was filled with a trip to the markets, some study and a coffee date at a great cafe called The Library in Onehunga. I think it may well become my new local! I have really rediscovered my love of blogging and reading blogs as of late. In doing so though I have noticed and have read some posts about blogs and the potential pitfalls of recording life in the public domain in this way. Firstly, there is the pressure that some may feel to constantly have new and interesting content on their blogs and keep building up followers. I certainly felt some of that pressure when I wrote my last blog the beat my heart skips. I think that pressure may have been part of the reason I wanted to have a fresh start with this blog. If I don't put anything on here for a month should it be a problem? I really don't want it to be and I don't want to feel like I have to update my blog ever again. I want it to be something I enjoy and continue to enjoy! Honestly with my study and work I have so many pressures and deadlines and I don't want something else adding to that. This blog is a space for me to appreciate the little things that a lovely about day to day life not add to the stress of it. So no pressure, okay. The other thing I've noticed is a little bit of judgement about what some choose to blog about, what their photos may look like etc. Hey we are all human right? We judge. But I want to post the details of my life that may seem mundane to others. 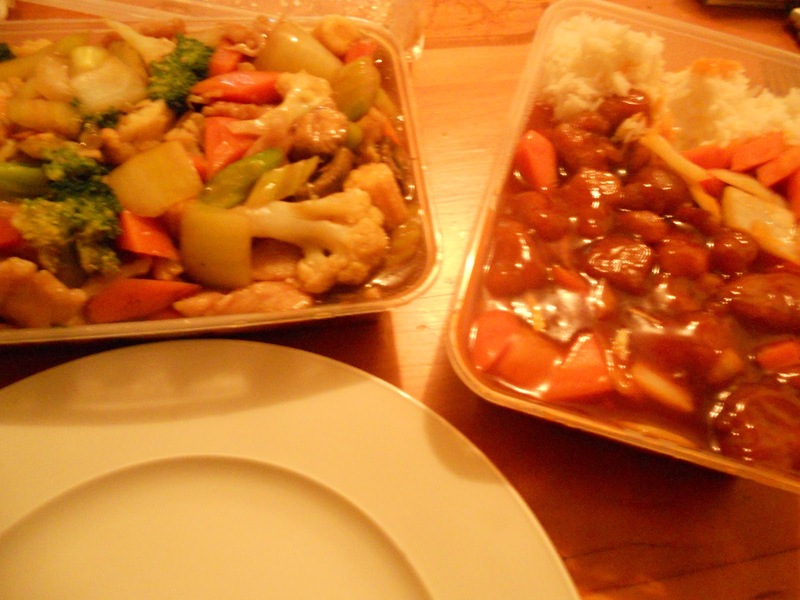 I want to put up the crappy photos of my chinese food and dvds because it was a good night. I want to choose what goes on here without fear of negative judgement. Wow that was a bit ranty. But as I start to post more and get back into the blogging thing I really wanted to put that out in the open. I'm really glad to be blogging again. 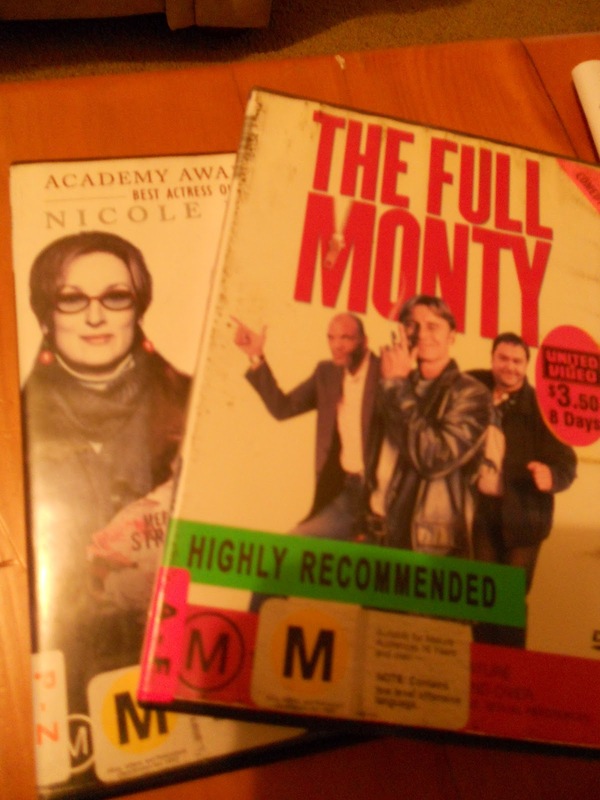 I've never seen The Full Monty - so you definitely recommend it? I used to love Chinese food. Mmm! I haven't found a gluten free Chinese restaurant yet though. I will find one, one day! With regards to blogging, it's like you took the words right out of my mouth. I blog what I want to blog, how I want to blog it, when I want to blog it. I've been reading a lot of blogs lately about how people stress about photo quality, posting regularly, keeping up with blogging trends, and so on. The thing is, if someone writes about something they're not entirely interested in - you can tell. When people write/post about things they love, then it's a great read! PS. Those flowers are so pretty. It's amazing how you can spend $5-$10 and brighten up your entire house!